I am wondering if big stores like Costco, hire people to walk around and act like they are normal shoppers, then when you pause to look at an item they see their opportunity and, without missing a beat they swoop down on you. That is just what happened with this item. I had never spotted it before so was looking at it, of coarse it was on an end cap so it practically attacked me. This lady stops, telling me this is the best product ever invented and if I wanted real good, like in very yummy coffee, I would purchase this product and put a scoop in my coffee. She said, that is how she used it.. she also laid claim to the thought that if I used this product in my evening coffee, my stress would be reduced to zero. So of coarse, it came home with me becoming a have to have product. So from that product we now have started this. There will be more on this later. I just know right now, my life has changed! I am blessed to have such beautiful friends. My friend Shirley, had the opportunity to meet Betty in real life! I say 'real life' because Shirley also met Betty on the everythingsewing forum. I think! I am not positive that was their first meeting each other. I will pretend it was until I hear different. Shirley is such a wonderful, giving person and has helped me so much, she has her own blog called prayersformymom. She has helped me with blogging, always open and helpful to those, "how do I do that?" question. 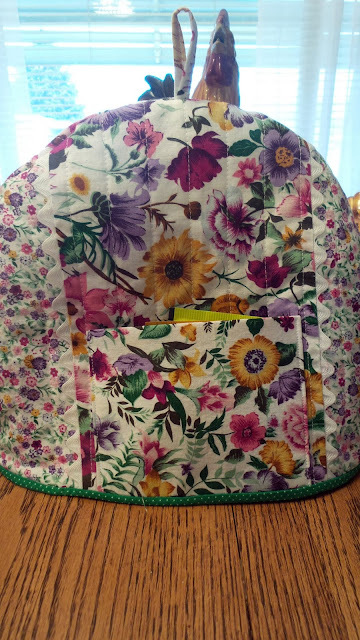 Shirley does wonderful sewing for her grands, including fun, creative machine embroidery. Always an inspiration and good for a fun, positive outlook on life. Oh, lucky me!! I just love the look on Hannah's face as she checks out who this new person is. What a blessing, to have this picture. I will frame it and put it in my sewing room, so I can share the day with two wonderful friends. 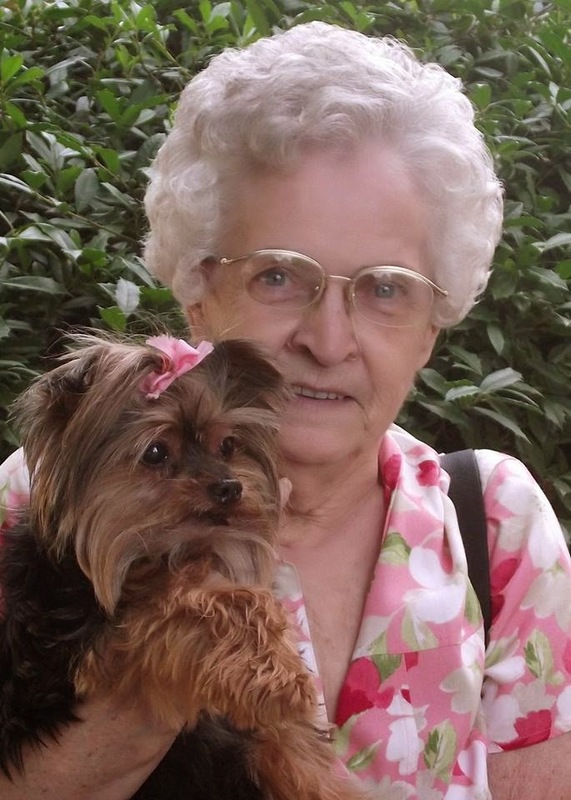 Betty passed away on her birthday April 5th. We started emailing each other after she joined Everythingsewing. If you ever needed to know anything about sewing Betty was the one to ask. We found we had a lot in common besides our love of sewing. What fun to find out we both were belly dancer's. Among the most important; Laugh often, especially after playing a great practical joke.A little dirt's good for you. Share what you know with others. Best of all, don't be afraid to try new things. I will miss her everyday, I know she is with her wonderful husband Dale. 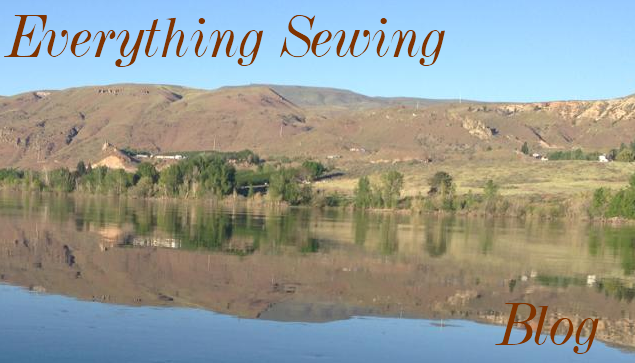 I will share some of her sewing tutorials or as we liked to called them "how to's". It is a rainbow day today. The sky gets dark and the rain pours down only to have the sun break through the clouds, giving us a bright light and a beautiful rainbow. For me, it is a rainbow day inside and out. 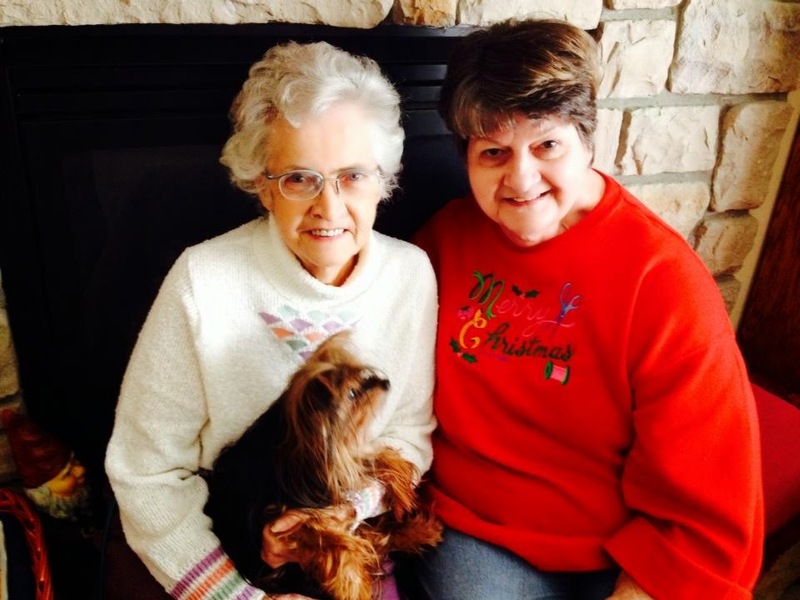 I miss my friend Betty and am praying so hard that she will want to get stronger everyday. As I pray for her, I feel very sad inside, the tears want to flow. Then, I pick up some sewing or maybe a sewing tool she sent me and I have a little bit of Betty in my hand. She is in my sewing room, thats for sure. Betty, not only made a difference in my life but she touches so many others. I hope you read this Betty, I hope you know you are important to so many. We need you back. Not a lot of exciting sewing going on. The projects and yes, there are more then one are all in the ugly stage, not developed enough to show how they are coming along. So, today because the weather is just beautiful and I am getting boating fever I thought I would re-visit the river. Well so far no change. For those that have not heard a dam far down river from us was found to have a crack in one of it's support beams. In order to repair the crack, they lowered the river. Not very pretty. Then there are those time when there is to much water. Like I said, just another day in paradise!